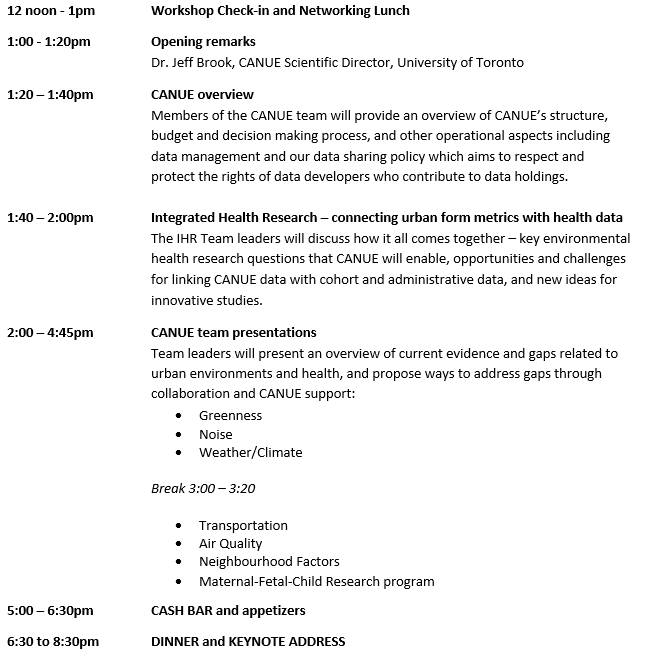 We are gathering in Toronto on December 7th and 8th to formalize our plans for data development and sharing, environmental health research, and knowledge translation and exchange. Please join us by webcast to hear more about CANUE and our vision for the next five years. 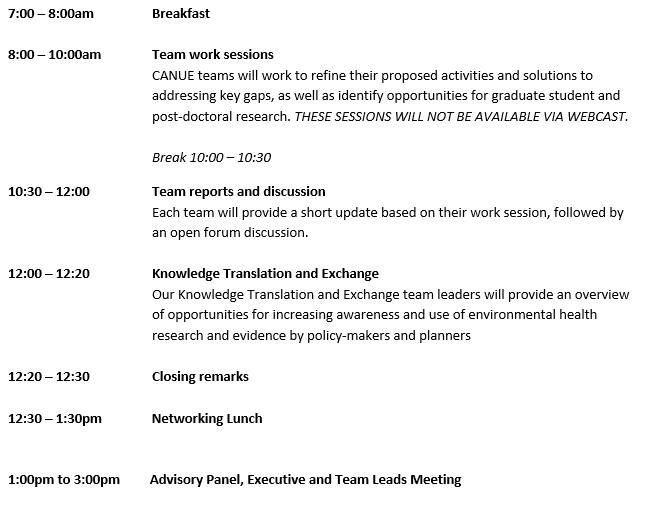 CANUE SYMPOSIUM WORKSHOP PRESENTATIONS NOW AVAILABLE!